The gospel (or good news) is not just information about what Jesus did to save sinners. It is also the power God uses to work faith in our hearts and transform our lives. 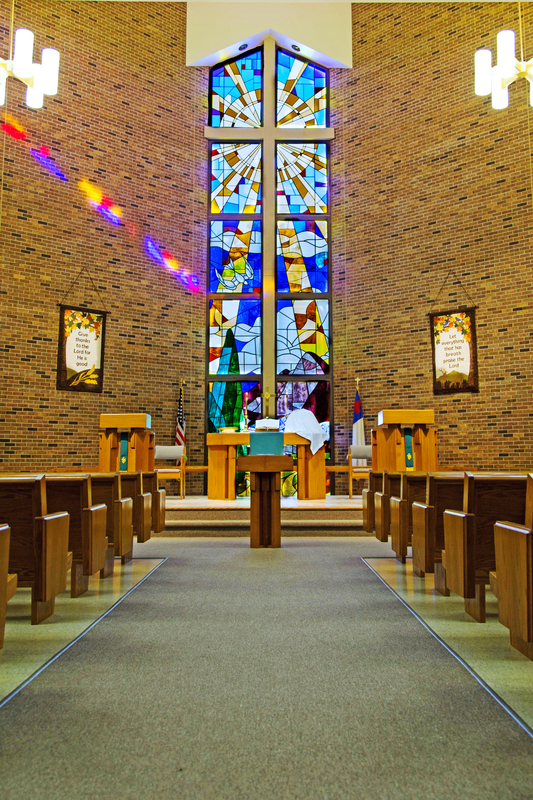 Therefore, Lutheran worship places the gospel in central focus in an order of service called the liturgy. In the message and meal (Holy Communion), in specially selected Scripture readings, and in carefully crafted songs, prayers, and creeds, the liturgy proclaims the good news about Jesus from start to finish. Come join us. We will work hard to make sure you feel welcome. But we will also tell it like it is - helping you come face to face with your living and loving God. Communion is on the 1st and 3rd Sundays. We follow the traditional scriptural practice of "close communion." We are giving expression to the oneness of faith (fellowship) that exists among those who hold to the same confession of faith. Visitors from other WELS or ELS churches are of the same confession of faith and are invited to partake of the Sacrament with us.